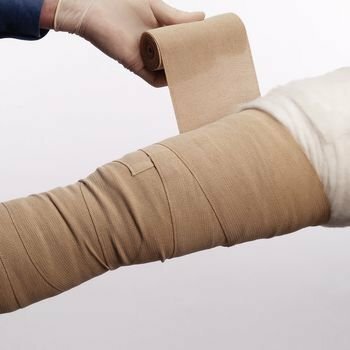 This high-quality, low stretch cotton bandage delivers maximum compression. Special configured yarns give it 90% short stretch. Rubberless weave significantly reduces the risk of constriction which allows flexibility of movement. Designed for repeated use, withstands numerous washings and resists deterioration caused by ointments and medications. End fixation holds the yarns tightly in place to prevent fraying and shredding when washed. Latex free. If you have any questions about this product by Performance Health, contact us by completing and submitting the form below. If you are looking for a specif part number, please include it with your message.